On February 7th, Pam Keller will rock the stage at Pathways of Hope’s Look Who’s Dancing fundraiser! Pam Keller is a “retired” member of the Fullerton City Council where she also served as the Mayor Pro Tem. She grew up in Fullerton where she attended the local public schools including Cal State University, Fullerton. 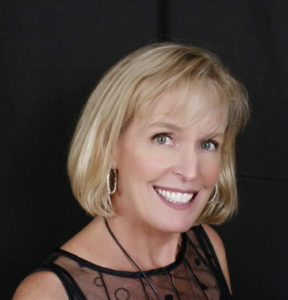 Pam served as the Executive Director of the Fullerton Collaborative from 1998-2015. The focus of her work in the community during that time was Obesity Prevention, Gang Prevention, Achievement Gap, STEM, and Homelessness. Pam is currently a teacher in a Multi-age Program at Orangethorpe School. Pam and her husband John met while attending Fullerton Union High School. They raised their three boys, Christopher (age 22), Dakota (age 20) and Alexander (age 18) to love the community that they grew up in! Pam is dancing because she believes in the work that Pathways of Hope dedicates themselves to. She truly believes that together, we can end hunger and homelessness for our community’s most vulnerable residents.